• Embroidered patches according to your design at iBadge. 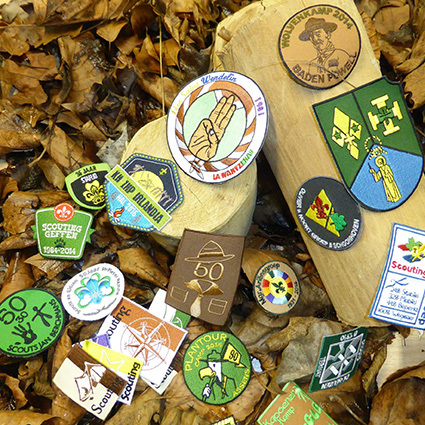 Design a patch to surprise your camp mates with a permanent keepsake. Or give employees and volunteers a patch on the back with a super original thank you. Liked it? Badge it! Turn embroidered emblems into must-have collector’s items, smart marketing tools or share your team spirit, passion and club colours. Give your customers a nice token of attention or let creative fashionistas pimp their outfit with attractive embroidered sew-ons. Let everyone see how proud you are of your job or emphasise your gratefulness to your volunteers with embroidered emblems. What makes iBadge so special? Not an all-round promotional gift web shop where you can also buy personalised emblems, but a specialised web shop with only embroidered patches directly from the manufacturer. This is iBadge in a nutshell. 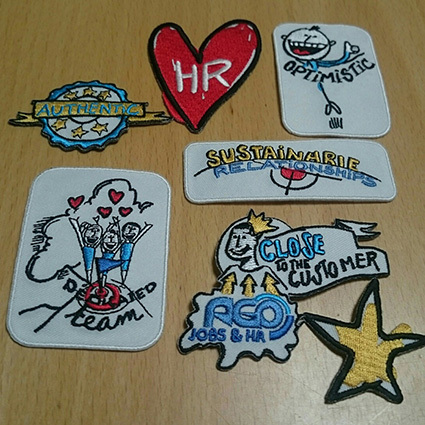 The fact that we dedicate our years of experience in embroidery entirely to the production of customised badges and emblems, naturally offers you many advantages. Endless finish options, fast delivery, surprisingly low prices and especially smart embroidery are trumps that are bound to appeal to you. Although it’s mainly our personal touch with which we surprise time and time again. No design reaches the embroidery machines and no patch leaves the building without passing the critical eye of iBadge driving forces Mark and Katrien. Each patch gets the same undivided attention, regardless of the size of the order! 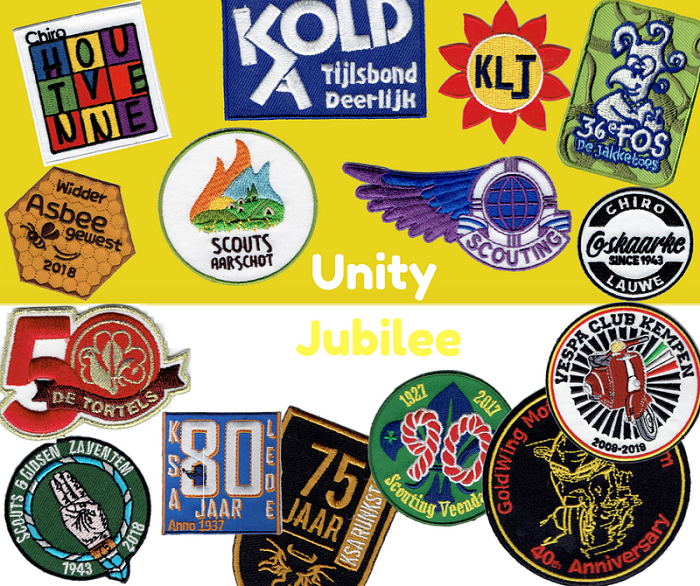 This way we have been guaranteeing embroidery emblems you and us can deservedly be proud of for more than 25 years. Merci pour votre réactivité sur cette production critique et très confidentielle! 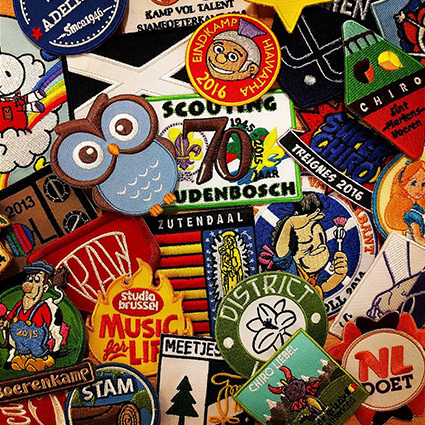 Download our 9 essential tips for your perfect badge design! Many thanks! So nice how we cooperated on this project! Hi Mark, I send you two pictures already to give you an idea. The first picture is showing the atmosphere around the camp fire and the second one is showing the moment when Jan receives the badges. On that last one, you can also see three more badges which were made by you. Jan was of course very happy and very surprised with the present. To give you an idea about how much he loves his badges: he asked his girlfriend to bring along a sewing machine during visiting day, so he could have them sewed on his shirt asap. Thanks again very much for these beautiful badges!